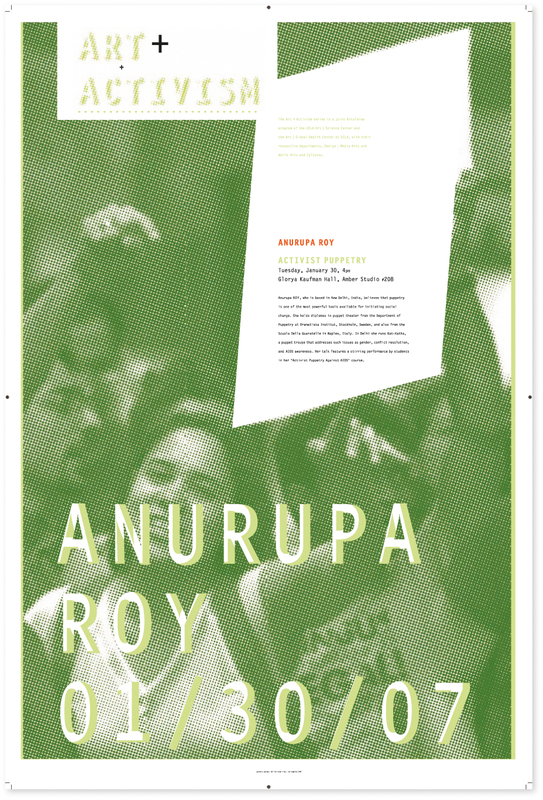 Anurupa Roy, based in New Delhi, India, believes that puppetry is one of the most powerful tools available for initiating social change. She holds diplomas in puppet theater from the department of puppetry at the Dramatiska Institute in Stockholm, Sweden, and from the Scuola Della Guaratelle in Naples, Italy. In Delhi, she runs Kat-Katha, a puppet troupe that addresses issues such as gender, conflict resolution and AIDS awareness. Her lecture will feature a performance by members of her” Activist Puppetry Against AIDS” World Arts and Cultures course module.